Obverse: NEW YORK / 1910. - Masks of drama and comedy. 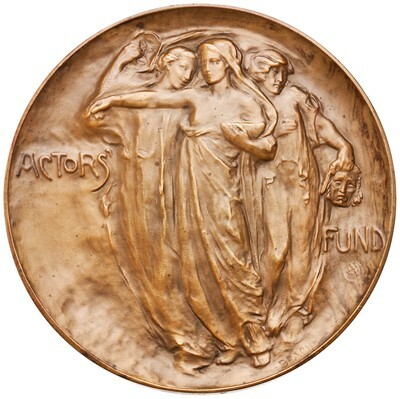 Reverse: ACTOR'S FUND/ 1910 BEACH. 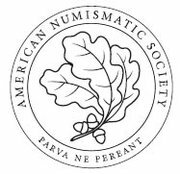 - Muses of drama, comedy, minute ANS logo at r. with three oak leaves, acorns. 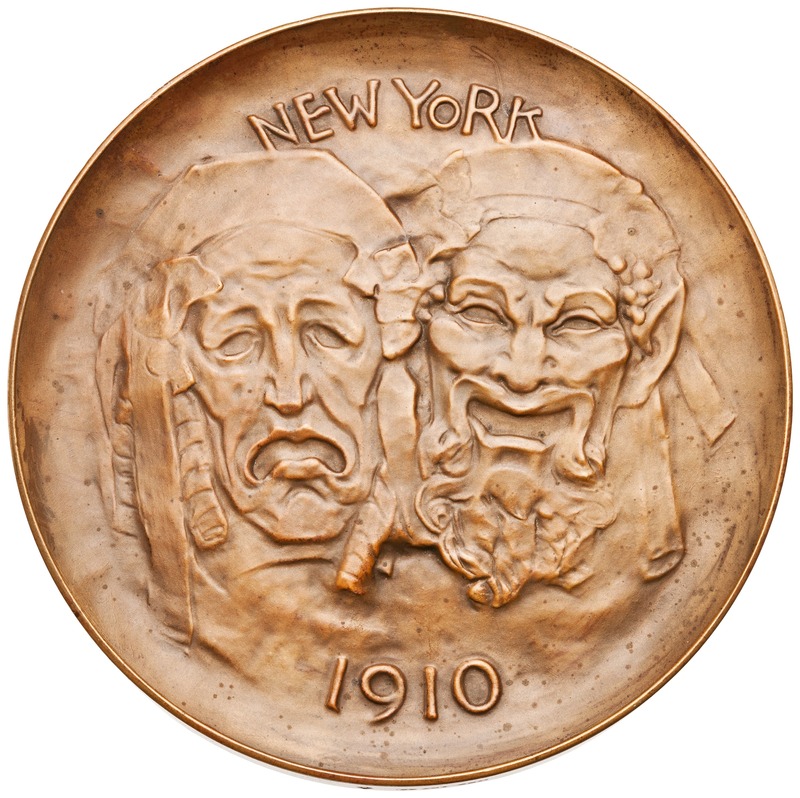 Mint: Deitsch Brothers-Medallic Art Co., New York. Note: Copper-mahogany patina. Archer M. Huntington was a benefactor of the Artists' Fund and Beach may have assumed that this medal had an ANS connection, which the Society has denied.